I went to the Decemberists concert in Pittsburgh this weekend. 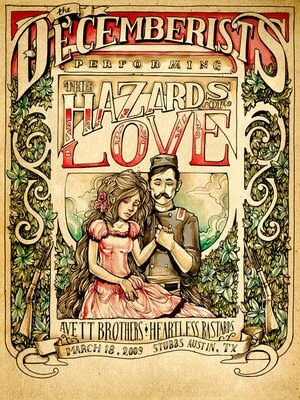 At first, the Hazards of Love, didn’t really appeal to me. It wasn’t until I attended the concert and realized that it was actually a rock symphony meant to be listened to from beginning to end and is a folklore story about two lovers that I really got it and was able to enjoy it. I highly recommend buying the CD, learning all the songs, and going to the concert to sing along. Now you know what a big nerd I am. Previous Post Have a cool weekend!